Starting a new medication can be confusing if you aren’t familiar with some basic terminology. There are always new phrases for patients to learn, and this is especially true of medical marijuana. Not only are there tons of slang terms for marijuana itself, there are also many terms related to dispensaries, dosing, the patient registration process, ways of using Cannabis, and human biology. Knowledge is power, so I’ve compiled this glossary of marijuana terms for patients to use as a quick and convenient reference guide. 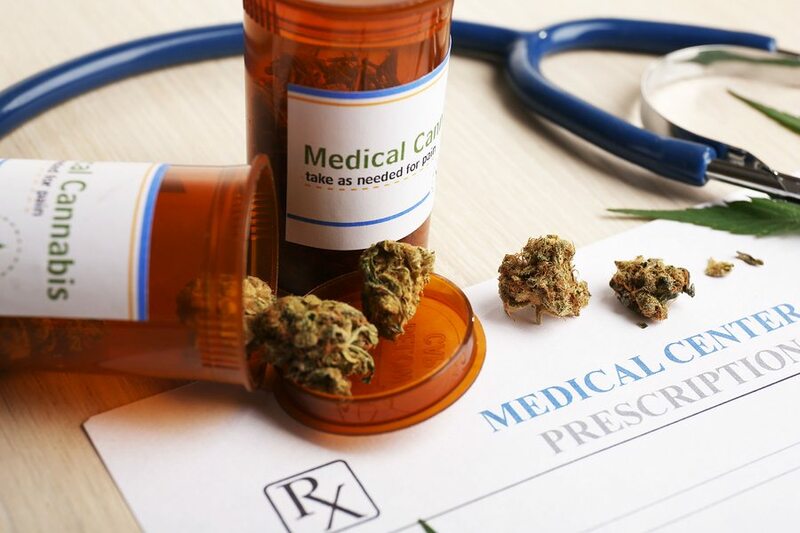 Of course, if you have any questions about your medication, I urge you to talk to your doctor about medical marijuana, or call Inhale MD at (617) 477-8886. In a medical context, marijuana is often referred to as “Cannabis.” Cannabis is simply a genus of plant, and contains several different species of marijuana plants. Two of these species, known as Cannabis sativa and Cannabis indica, are the source of most medical Cannabis in the United States. The Cannabis genus also contains a third plant species called Cannabis ruderalis, but this plant originates in Russia and is not widely used in the production of medical-grade Cannabis in the U.S., where you are far more likely to encounter Cannabis and Cannabis products of the Sativa or Indica variety. Physically, Sativa plants tend to be lighter in color than Indica, and produce longer, narrower leaves. Sativa plants can grow very tall and tree-like, whereas Indica is more bush-like. “K2” or “spice” is not Cannabis! Do not purchase these products. Spice and K2 are synthetic drugs that can cause convulsions, kidney failure, hallucinations, and death. Blunt – Slang for a Cannabis cigarette made mixing Cannabis and tobacco, or using a tobacco wrapper around the Cannabis material. I most strongly advise against using any Cannabis along with tobacco. Edibles – Dispensaries sometimes sell food products, like candy or brownies, which contain Cannabis medicine. I advise the use of Cannabis edibles in certain circumstances, but only with care due to their extremely high fat, sugar, and calorie content, as well as inaccurate labeling and loose regulation. Joint – Slang term for a cigarette containing marijuana. In general, I advise against smoking, as vaporizing Cannabis appears to be a safer method (see below). Vaporizer – Also called a “vape,” a vaporizer is a machine that heats Cannabis to release the active medicinal agents as a vapor that can be inhaled. It does not burn the material, and instead of actual smoke, the patient inhales warm vapor containing the medicine. Half the states in the U.S. currently have medical marijuana programs. Each of these programs is run by a different agency, and each agency uses different terms and follows different procedures. The glossary below explains some key phrases specific to Massachusetts’ medical Cannabis program. DPH – The DPH is the Massachusetts Department of Public Health. The DPH website is full of helpful information for medical marijuana patients. “[O]ther conditions as determined in writing by a qualifying patient’s physician,” frequently anxiety, depression, anorexia, insomnia, or chronic pain. Registered Patient – A patient who has gone through the registration process in order to become a medical marijuana user with DPH approval. All registered patients will receive an ID card identifying them as patients. RMD – Stands for “Registered Marijuana Dispensary.” An RMD is a business that has been approved to sell medical Cannabis in Massachusetts. Your doctor will handle most of the heavy lifting when it comes to scientific and medical terminology, but the more you understand about these terms, the more comfortable and confident you will feel with your medicine. Rather than listing them alphabetically, I have organized terms in the order that makes them easiest to understand. Receptors – A receptor is signaling device on a cell in your body. Think of them like the ignition in your car. If the right chemical comes along that fits that receptor (like the key in your car’s ignition), then something turns on, or possibly off, in that cell. Cannabinoids – A Cannabinoid is a chemical compound. Think of Cannabinoids as the “active ingredients” in marijuana. The most famous type of Cannabinoid is THC, but marijuana actually contains dozens of different Cannabinoids. Terpenes – Terpenes are another active ingredient in Cannabis. They are responsible in many plants for the odor we perceive. It turns out, however, that these can have active effects far beyond just making plants smell a particular way, and interact with the Cannabinoids mentioned above to give Cannabis its effects. CB1 – CB1 stands for “Cannabinoid Receptor Type 1.” CB1 is a type of receptor found mainly in the brain. CB1 receptors are activated by THC when you use marijuana, which is why marijuana has mental and physical effects. CB2 – See “CB1” above. CB2 is simply another type of Cannabinoid receptor that is more often found in the body, rather than in the brain, unless the brain has a problem. Endocannibinoid System (ECS) – The Endocannabinoid system is a wide-ranging system of Cannabinoid receptors in your brain and body. The ECS is responsible for maintaining many critical body systems in the right balance. These receptors pair with our own, internal Cannabinoids to do the job. Yes, we make our own Cannabinoids! This is why the plant Cannabinoids we use as medicine from Cannabis work. 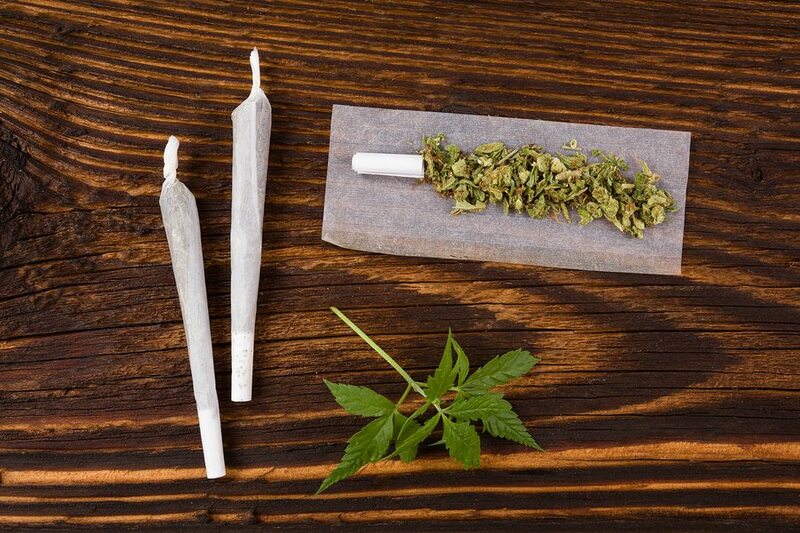 Psychoactive Effects – This is simply a more scientific way of describing the “high” caused by marijuana. THC – THC stands for “Tetrahydrocannabinol.” THC is the Cannabinoid responsible for many of Cannabis’ medical properties including those that treat pain, depression, inflammation, nausea, and poor appetite. It is also responsible for the psychoactive effects. CBD – CBD stands for “Cannabidiol.” Like its more famous cousin THC, CBD is also a Cannabinoid. However, unlike THC, CBD does not produce such pronounced psychoactive effects (the “high”). CBD’s role is less well understood at present, though it has both direct effects and acts as a modulator of THC. Strains – “Strain” is not technically the right word for describing a “type” of Cannabis, but is nonetheless the word that is generally used. (The correct term is actually cultivar.) Strains often have silly, rather arbitrary-sounding names, like “Northern Lights” or “Sour Diesel,” given as marketing tools to spur recreational sales. Despite what you’ll read in abundance on the web, most medicinal properties of Cannabis are not strain-specific. How you use Cannabis medically is far more important to your health, and makes it worth discussing with your physician. Hopefully, this glossary has helped you understand some basic elements of medical marijuana in Massachusetts. I know it’s a lot of information to process all at once, so please do not hesitate to contact Inhale MD at (617) 477-8886 with any questions about the Massachusetts medical Cannabis program, or your eligibility to become a patient.